Funding infrastructure projects that address the challenges of sustainable development and generate regular cash flow over the long term. • Funds investing in the European renewable energy sector (wind, solar, biomass, etc.). • Portfolios of low volatility assets with an objective of high and recurring returns. • More than 30 tons of CO2 emissions avoided / millions of euros through the funded projects (contribution to the construction of 1.8 GW of clean energy over 15 years). • Funds investing in public-interest projects within the framework of public-private partnerships. • Financing a wide variety of infrastructure projects in France and in Europe (universities, stadiums, hospitals, urban and rail transportation, etc.) with high potential returns. • Significant participation in public-private partnership projects representing an aggregate amount of more than EUR 6 billion. The infrastructure UCITS managed by Mirova are not subject to authorisation by the French Securities Regulator (Autorité des Marchés Financiers) and may derogate from the investment rules described in the articles of association. Before any investment, it should be ascertained whether the investor is legally authorised to subscribe in a UCITS. 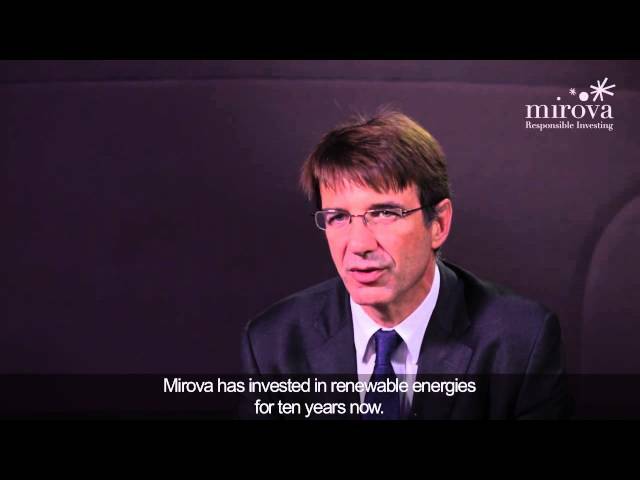 Notably, subscription to the infrastructure UCITS managed by Mirova is reserved strictly for well-informed investors meeting the criteria defined in the UCITS articles of association.